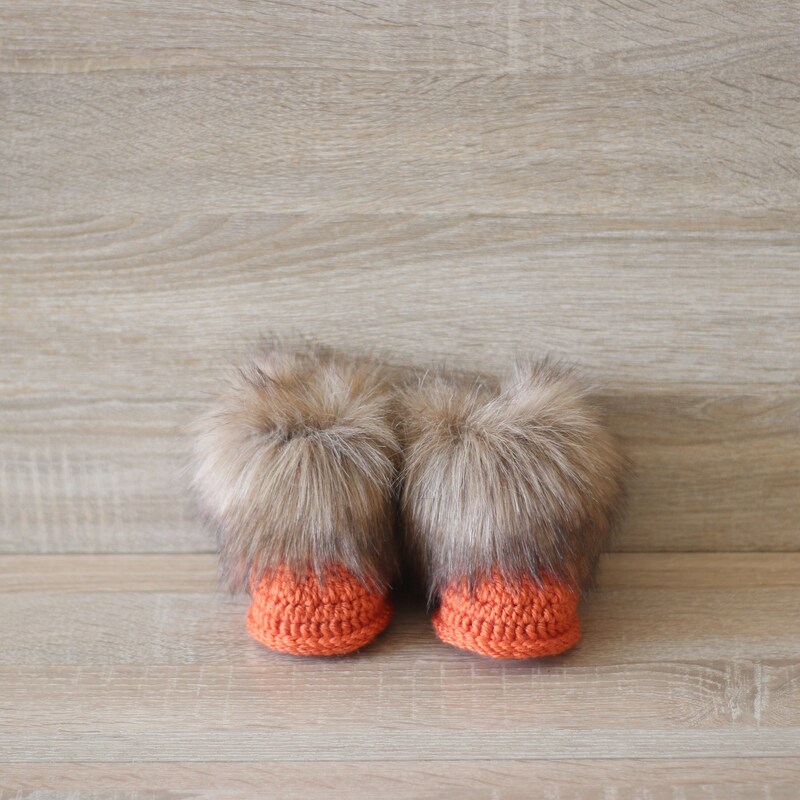 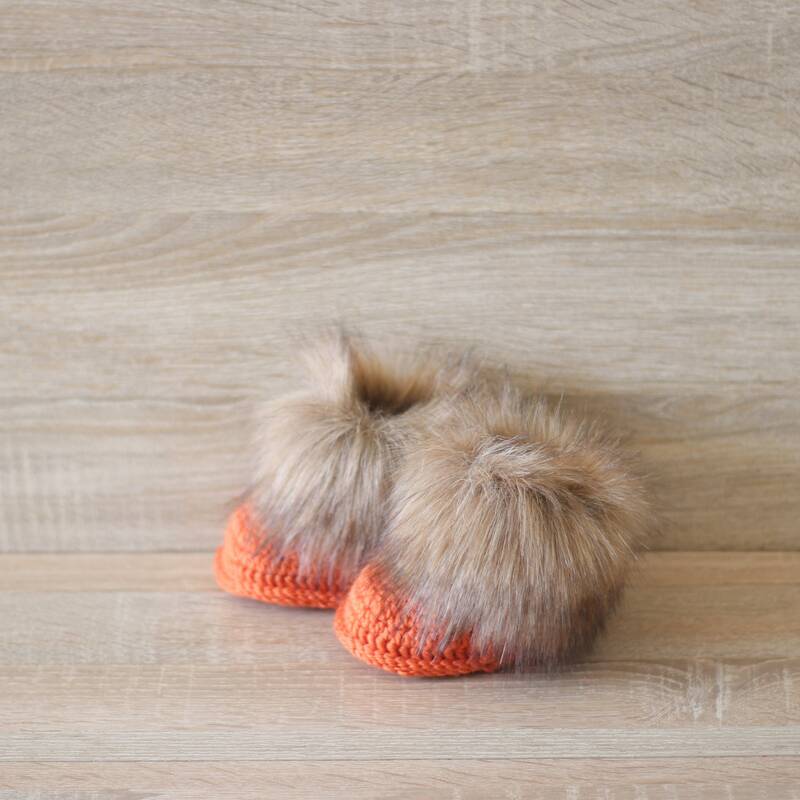 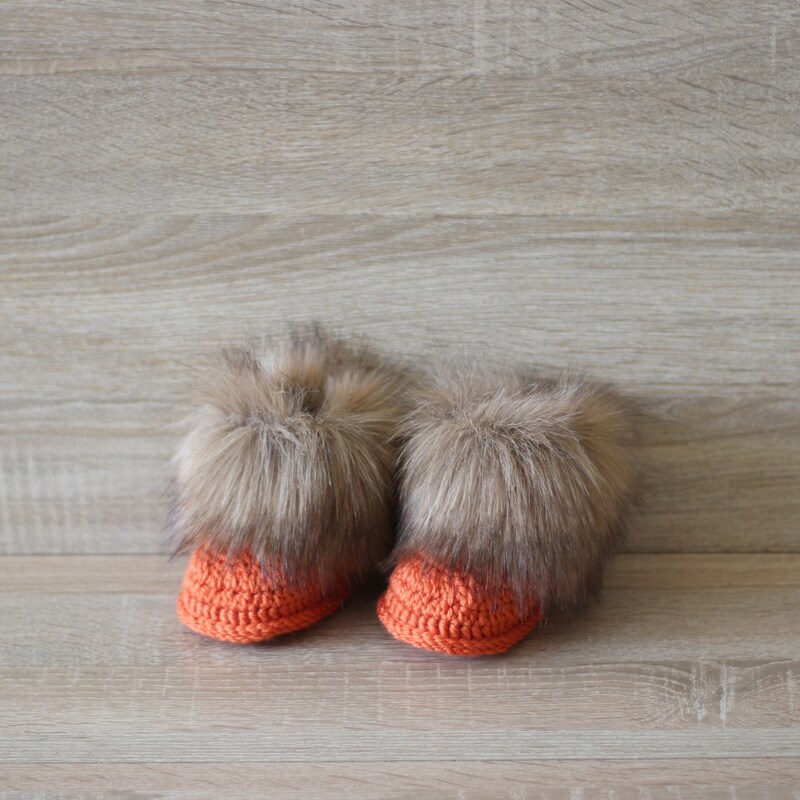 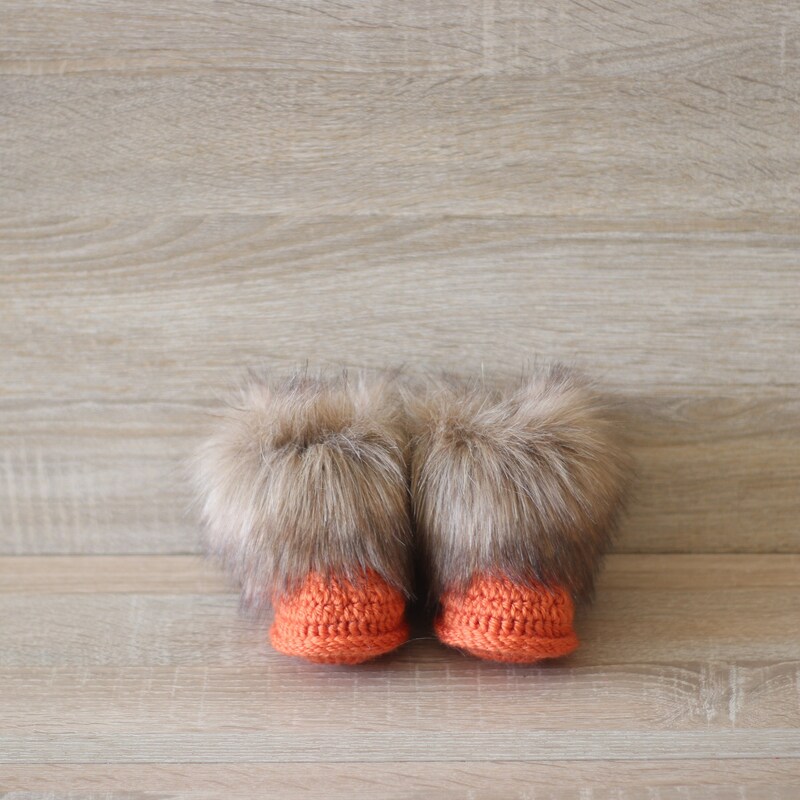 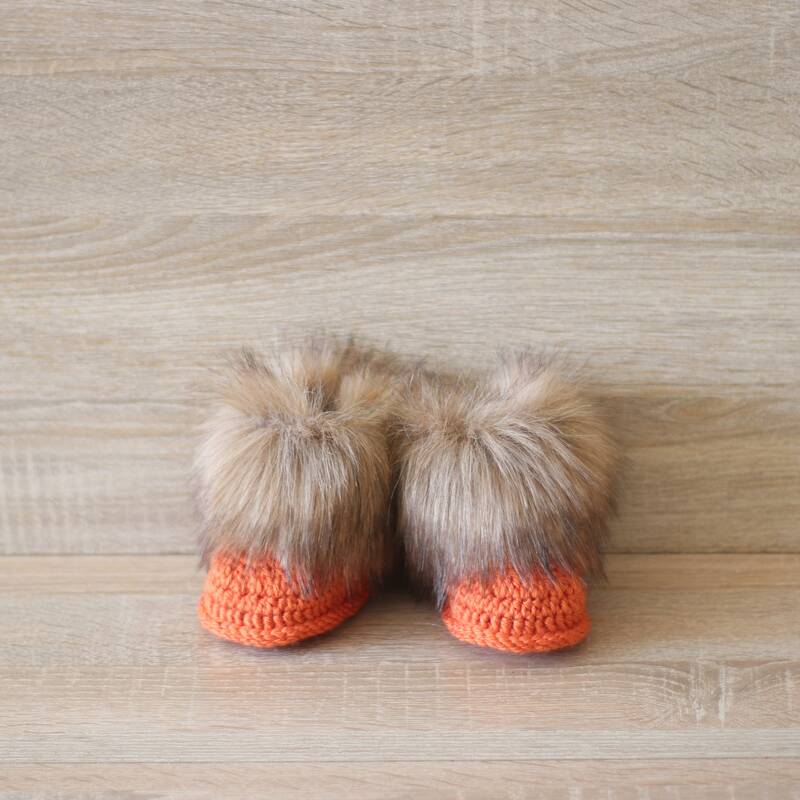 These orange baby booties and double pom pom hat are made of a soft acrylic yarn (super soft, NO itchiness!). 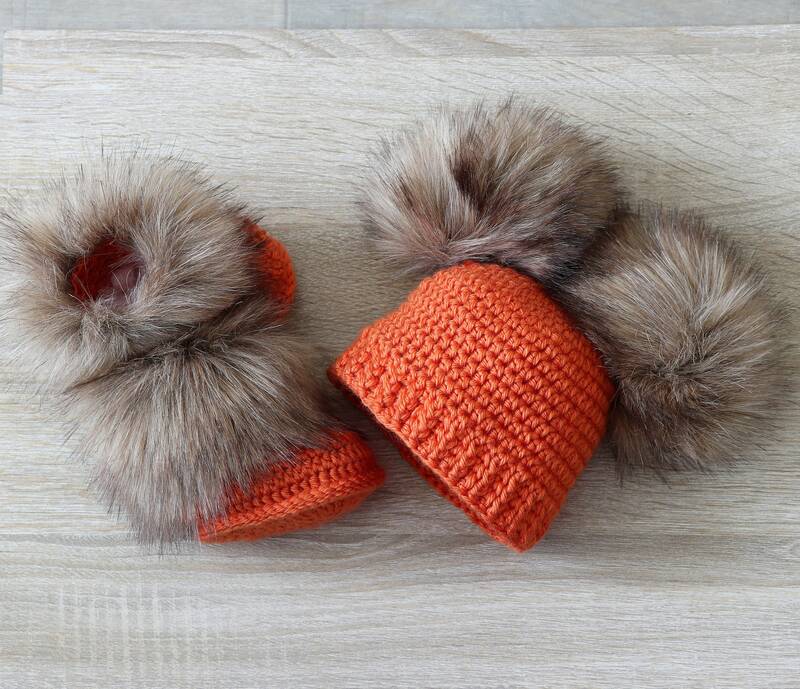 Perfect for the cooler months. 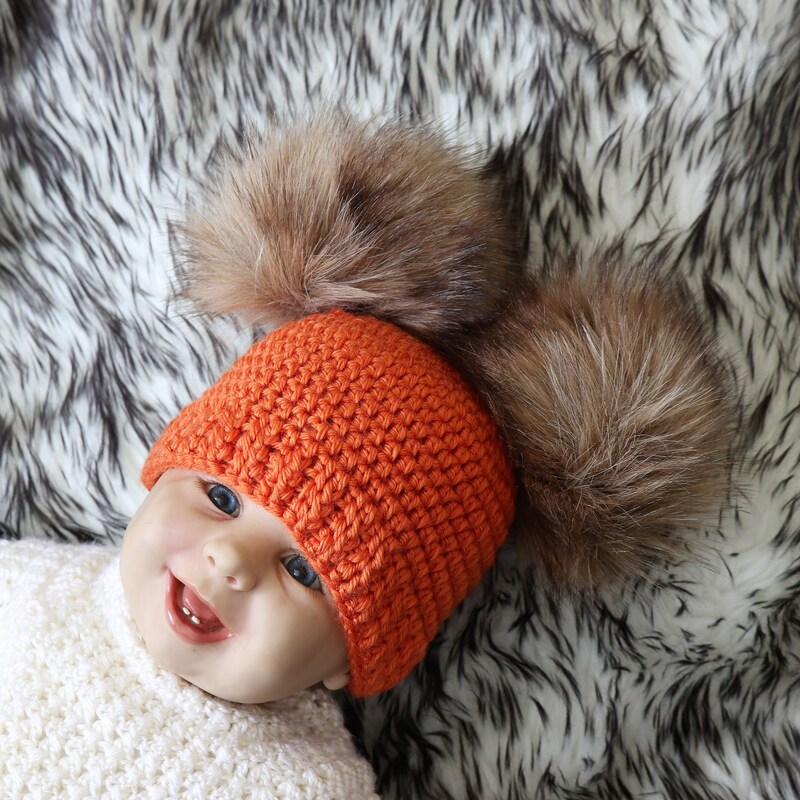 Great set for babies first photos and it perfect for baby shower or new baby gift.